Framed against a dramatic natural backdrop, Vancouver is considered the real culinary capital of Canada. Whilst Toronto might make grand claims, Vancouver is serious about its eateries. The seafood here is legendary, from fresh prawns to wild salmon, whilst the city’s establishments value the farm to table movement highly. Vancouver has lots of distinctive neighbourhoods each waiting to be explored. Whether you fancy the indie restaurants and bars of Gastown or look out the uber cool businesses on Main Street, the city is easy to get around and easy to immerse yourself in. The best bit? The snow-tipped mountains are almost always in view and you are never more than a 30 minute drive away from the most incredible natural landscapes. 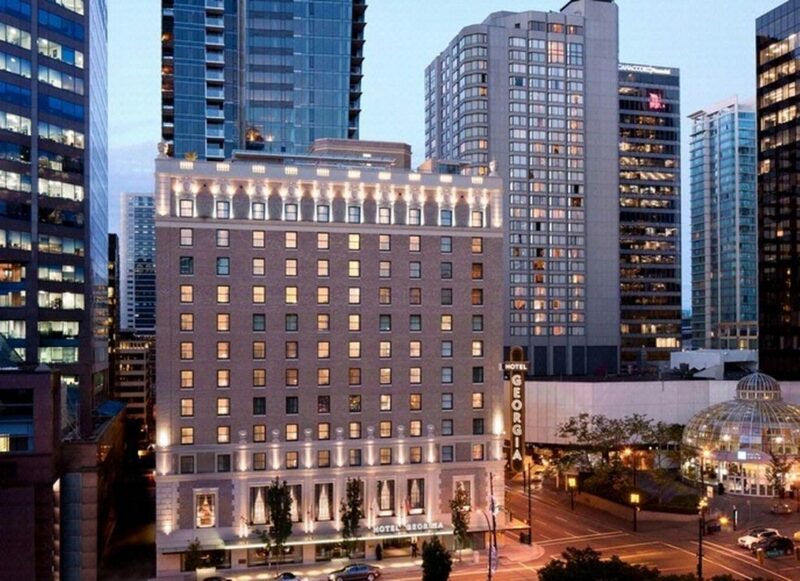 Get exploring Vancouver now with the best 5-star accommodation the city has to offer…. Experience Vancouver’s glittering skyline from the venue of Shangri-La Hotel, Vancouver. Described as a luxurious sanctuary between the mountains and the sea, this luxurious hotel is decorated in tasteful modernity. Open your mind to taste in the MARKET restaurant with the sumptuous creations of Jean-Georges Vongerichten, an internationally-acclaimed Michelin-starred chef. Grouse Mountain is only a short drive away. Catering to the adventurous and athletic, its slopes are perfect for that skiing or snowboarding experience. Relax by taking a stroll around nearby Stanley Park and breathe in the crisp air of nature, or relax in the spa with soothing body treatments. 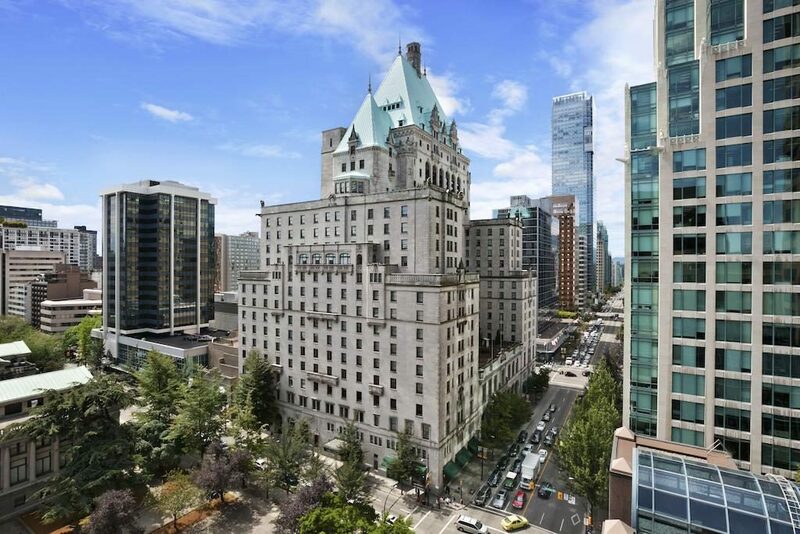 Known as the ‘Castle in the City’, the Fairmont Hotel Vancouver holds a prime location on the doorstep of the city’s biggest attractions including Stanley Park, Granville Island, Vancouver Aquarium, Robston Street Shopping and Seawall. Recently renovated and showcasing a new lobby and restaurant, the hotel specialises in luxury inspired by its rich history. Get the party started with Happy Hour at Notch8, or recline in the indoor pool before being inspired at the Willow Stream Spa. Experience true luxury with exclusive amenities including a state-of-the-art health club and personalized service from our Concierge team. 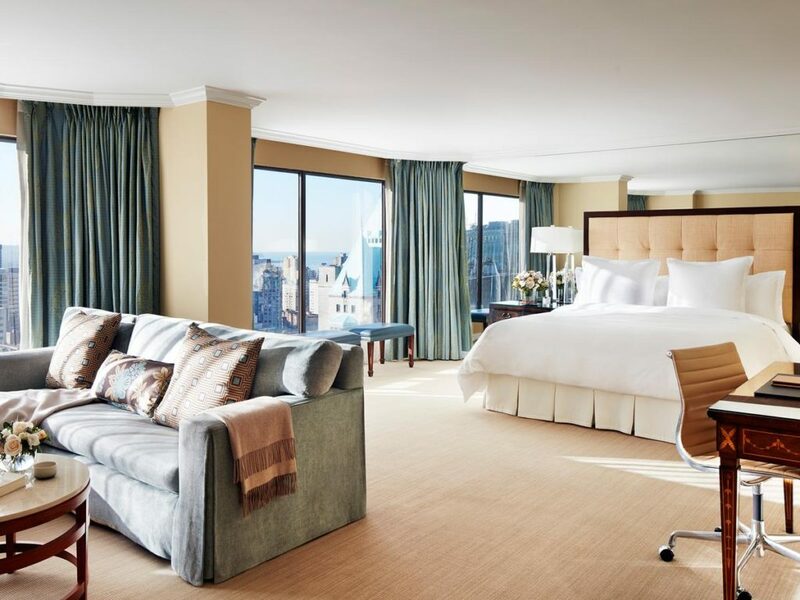 For a more refined vacation experience, look no further than The St. Regis. Hotel. Accommodation includes a delicious breakfast cooked to order while dining options include our acclaimed steak house and pub-style sports bar. Enjoy the open-air patio or listen to live entertainment throughout your stay. 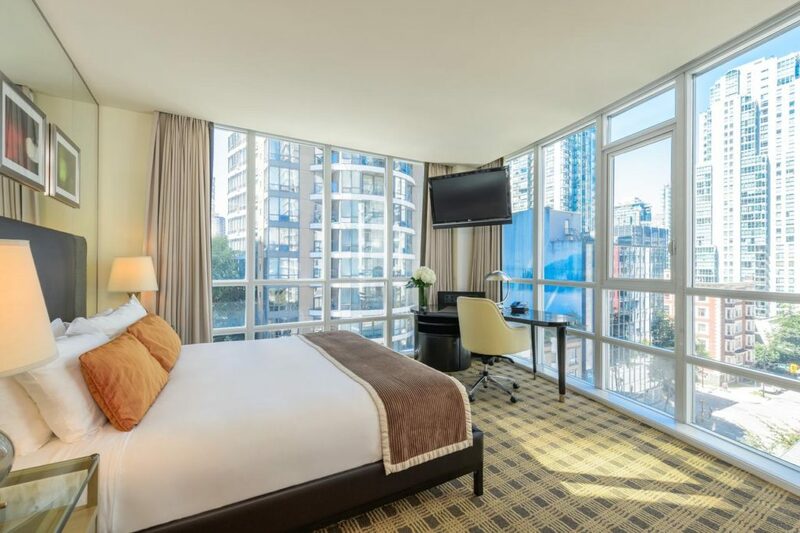 Set in the heart of Vancouver above the Granville Station’s Expo and Millennium Line Skytrains, this modern venue is an excellent choice for those who want to acquainted with the city’s buzzing night life. 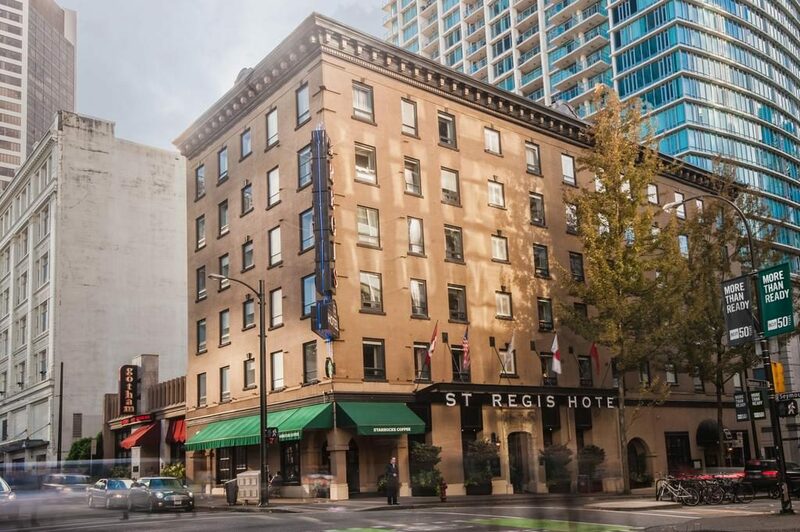 The legendary Hotel Georgia has a rich history in the city of Vancouver, opening in 1927. Hailed as one of the classic yet fashionable venues, used as a retreat by the King of Rock and Roll himself, Elvis Presley. Hotel Georgia cemented itself with an extensive renovation in 2011, re-opening as the Rosewood Hotel Georgia. With a flair for elegance and passion, the staff will put you at ease with smooth Canadian hospitality. Experience the Rosewood Spa, Sense, or reflect and recuperate in the Garden Terrace. Enjoy fine dining in the Hawksworth Restaurant with dishes to spark the taste buds before winding down in the Prohibition speakeasy bar. 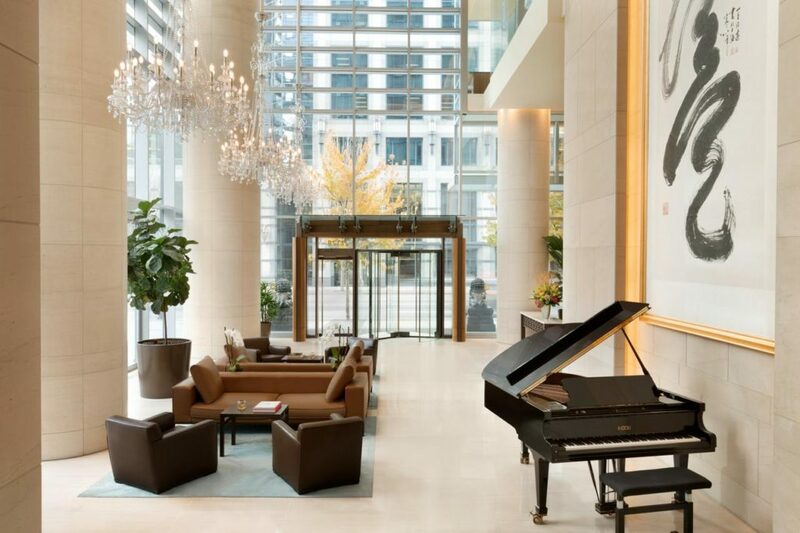 Amidst the shining lights of the city sits the award-winning Four Seasons Hotel, smack dab between the ultra modernity and fast-paced coastal metropolis of Vancouver and the pure wilderness of British Columbia. With floor-to-ceiling wraparound windows you can witness the bustling downtown from your own suite before digging in to a local seafood dish at YEW seafood and bar. Ski the North Shore mountain peaks or take a breather and explore the Granville Island Markets in style. Wrap up your evening in the YEW bar or go all-out in one of Yaletown’s chic night clubs. 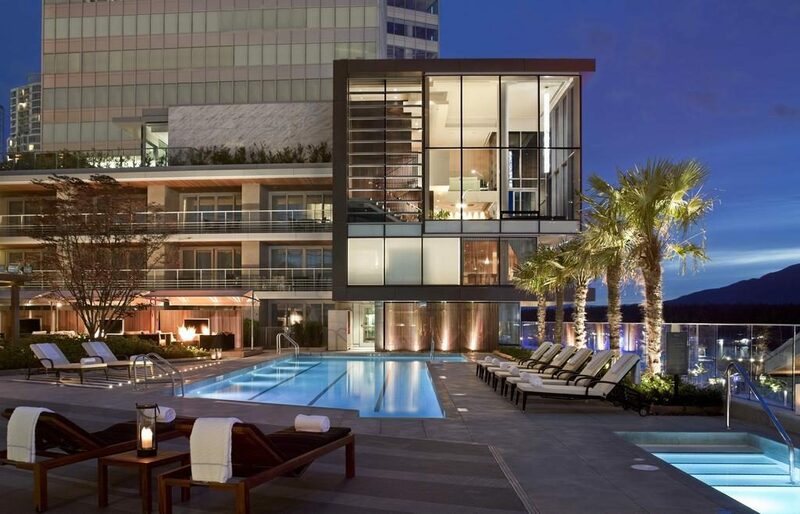 The hotel of Fairmont Pacific Rim can be described simply as contemporary luxury. Look no further than this uniquely inspired venue for the best that Vancouver has to offer. Whether you’re seeking a quiet getaway or the adventure of a lifetime, this captivating hotel has the means. Exquisite culinary offerings, stylish rooms and sizzling culture enrich the bright social scenes that unfold in these state-of-the-art accommodations. Vancouver’s hottest new restaurant Botanist is helmed by Botanist Executive Chef Hector Laguna. For the independently minded, Loden Hotel offers a stylish yet sleek look with Dornbract fixtures and understated decor. Revelling in the spirit of Vancouver you will find that this venue is sure to keep you active, with local activity programs including WanderFIT, guiding guests through a full cardio workout while you can explore the full tableau of the great outdoors. Make sure you work up an appetite, as the hotel is only minutes away from fresh harbourfront dining. Picture elegant rooms swathed in original artwork across timber-detailed walls decorated with tasteful furnishings. Floor to ceiling windows and suites with pizzazz. 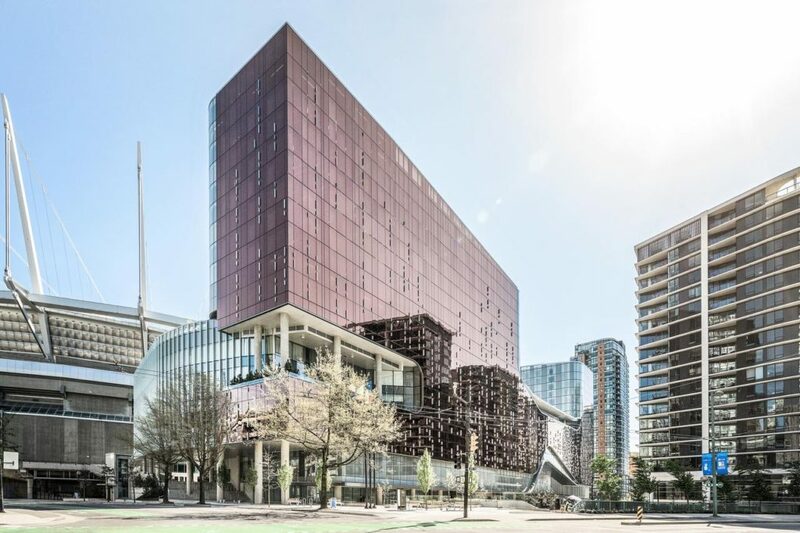 This nature-inspired hotel has been painstakingly designed by Celano Design Studio for the visitors that demand the best that Vancouver city has to offer. Located in the Parq Vancouver entertainment complex, the BC Palace stadium is just nearby and the Plaza of Nations Ferry Dock is only a short walk away. Examine the city features from our rooftop lounge and plan an unbeatable experience that will last a lifetime – The Douglas Hotel is one you won’t forget.